HNC represents a coalition of 15 leading, and mostly “moderate,” opposition factions that were put together in Saudi Arabia last month. The group said earlier that it would not join the negotiations unless Bashar Assad’s government abandoned sieges of settlements, put a stop to air strikes, and released numerous captives. It remains unclear what kind of humanitarian intervention the UN was able to guarantee. 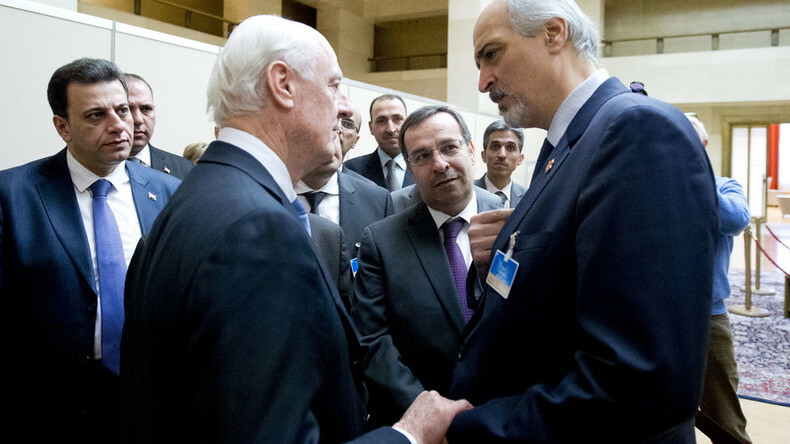 Conflicting information has emerged about who will represent the HNC during Geneva-III negotiations, which are designed as “proximity” talks in which the adversaries do not sit face-to-face, but speak indirectly through de Mistura as he moves between several rooms. AFP reported that “about 30, 35” HNC members would go to Geneva following internal opposition debates held in the Saudi capital of Riyadh, after claiming earlier that a low-status three-man team was en-route to the Swiss city. The Sunday Times alleged that HNC chairman Riad Hijab may himself lead the opposition delegation. Hijab, who was prime minister for Bashar Assad before defecting in 2012, has been one of the sternest critics of the new round of talks, which are taking place almost exactly two years after the previous Geneva-II talks broke down with no result. 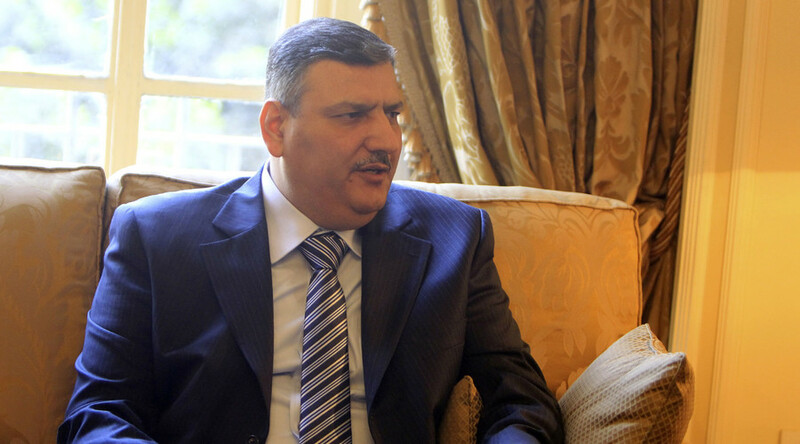 “Assad believes in military solutions only – he does not want a political process. Neither does Russia. All they want is a military resolution. That’s why they come to such peace talks, in order to make them fail,” he told CNN on Thursday. 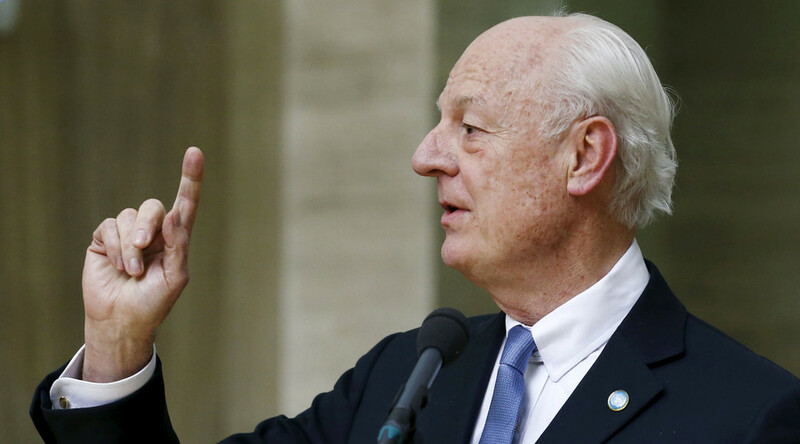 Representatives of the Syrian government spent over two hours talking to de Mistura on Friday, but declined to make a public statement. Russia has repeatedly claimed that Geneva-III “has no future” without the participation of the Kurdish opposition, which has scored major successes against Islamic State (IS, formerly ISIS/ISIL) in Syria and neighboring Iraq. The Kurds have been blacklisted from the negotiations at the behest of Turkey, which is locked in a stand-off with its own separatist Kurdish minority. More than 250,000 people are thought to have died in the Syrian conflict since 2011, with UN figures suggesting that 11 million more have been displaced. Joshua Landis, Director of Middle Eastern Studies at the University of Oklahoma commented on the complexities of the new round of talks, which will see de Mistura shuttling between different groups and factions. There will be at least four groups sitting in four different rooms: “Women and civil society group, there is another group that the Russians put together, which includes Haytham Manna who is the co-president of the Syria Democratic Council and it represents the Kurds to a certain degree … and then there is the Syrian opposition that Riyadh has put together, and there will be Assad’s team in the fourth room,” Landis told RT. The big question, according to Landis, is whether the Saudis and the Turks will force the rebels to make concessions or send in more arms instead. At the same time, Landis stressed that there has been more truth-telling in the couple of weeks leading up to the talks, as the Russian air support to Syrian government forces has completely changed the balance.